Tourism experience Expo "Tahara Meguri~Na”! 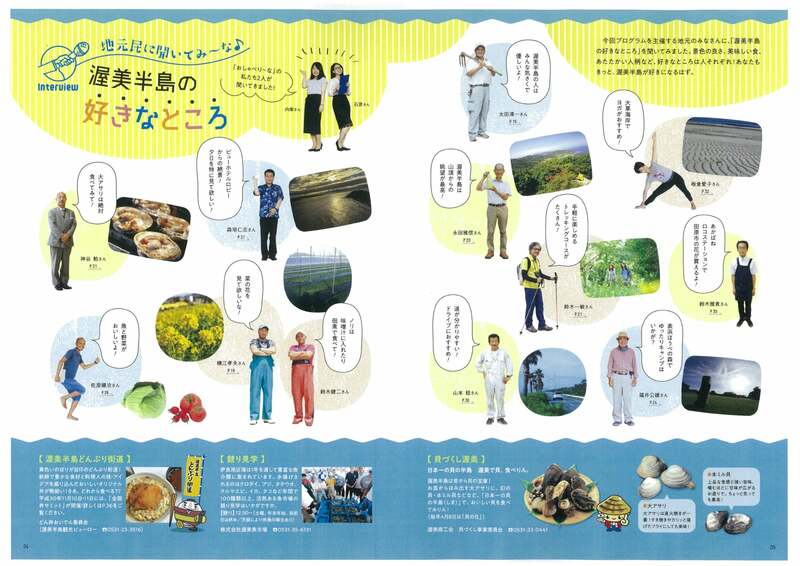 Tourism experience Expo " Tahara Meguri~Na "
In order to make Tahara City a healthy and affluent area, we will hold a tourism experience expo " Tahar a Meguri~Na " that is to immerse in the everyday life of the Atsumi Peninsula. Based on the theme of the event "A journey to live on the Atsumi Peninsula", we offer 4 themes - "Agriculture · Flower", "Nature", "Handmade" and "Enjoyment" with a total of 40 programs which we can only experience here. There are a lots of varieties of programs to enjoy including Chrysanthemums grown with artificial light Night Tour, Nature Observation Guide, Surfing Experience, Parent-Child Food education experience and so on. Take a ferry and join our exciting programs! To participate this program., reservation is necessary. 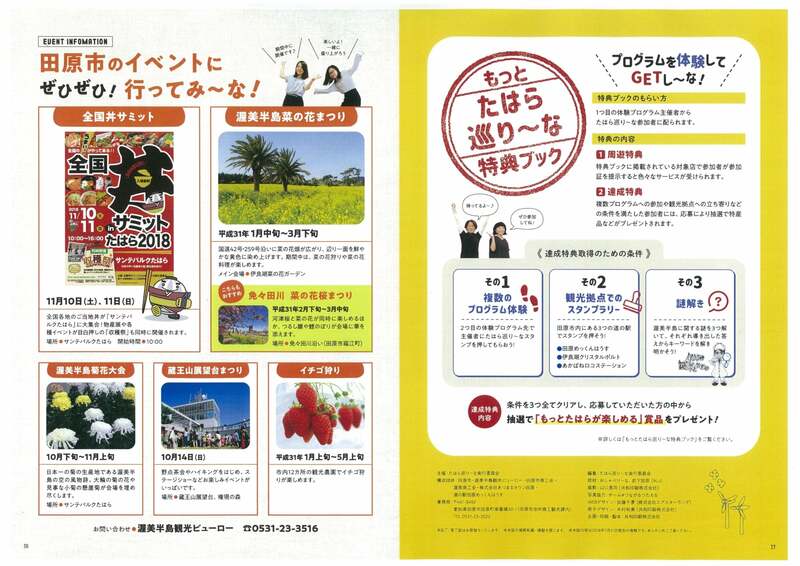 If you participate in the program., you will receive " Motto Tahara Meguri~Na/Coupon book" which gives you great services from the city stores . We are now handing out the "Toba guide book" on the 2nd floor of Toba ferry terminal! For program reservation · details, please check at the Atsumi Peninsula tourist bureau special page. Copyright©Isewan Ferry Co., Ltd All Rights Reserved.